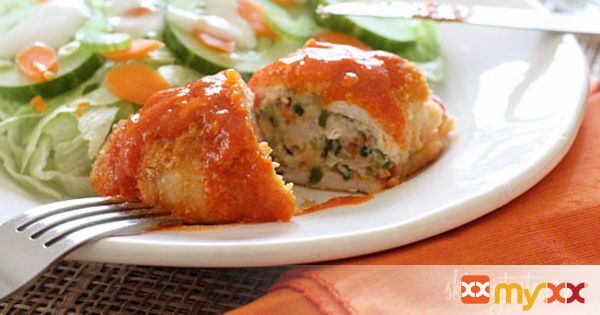 Chicken breast stuffed with cheese, shredded carrots and minced celery, then rolled, breaded, baked and drizzled with hot sauce. Sound enticing? It should be, this is good stuff!